In early July, Dan and I made a trip to Hong Kong. A bit of context- Dan has never been to Hong Kong, but as he's English, he was curious to see what influences Britain had in the region, whereas I was born in Hong Kong, and had not been back in about five years. Over the past five years, Hong Kong has been through tremendous amounts of change, some good, some bad (of course, it depends on who you're talking to! ), and besides wanting to see what the city has morphed into, I simply craved to be home, even just for a little while. 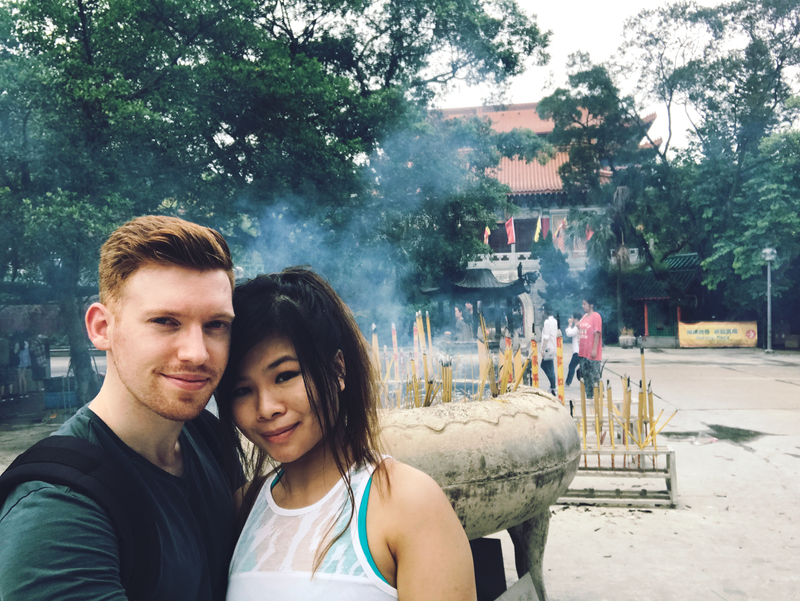 This is a brief summary/itinerary of our trip to Hong Kong! 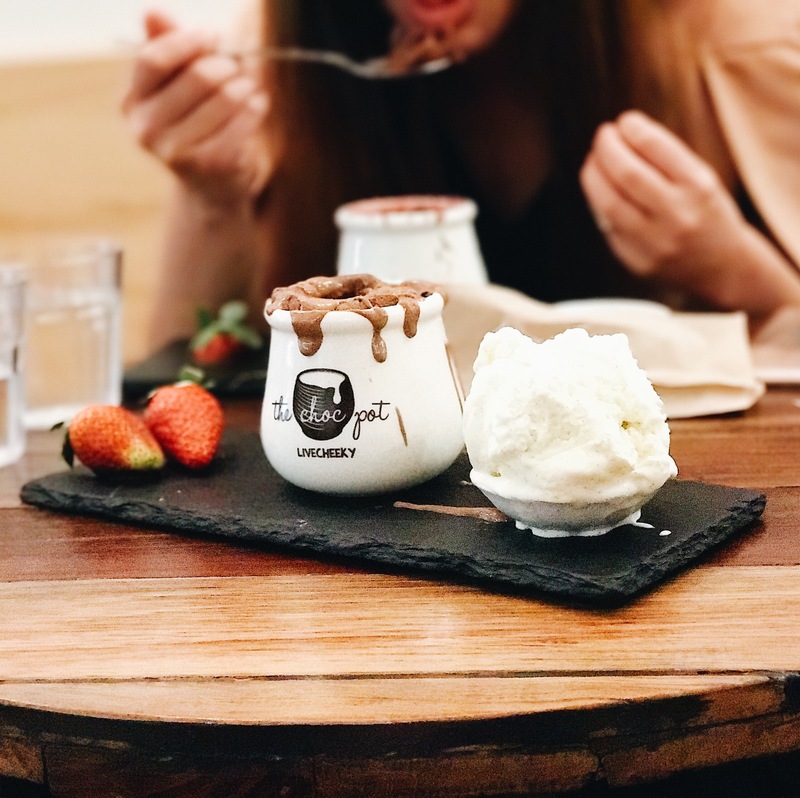 Short and sweet read if you’re simply looking for ideas on what to do in Hong Kong. For more detailed posts on tips and tricks in navigation Hong Kong, specific locations, foods, and activities, check out our Hong Kong page. Wet markets! These are an essential if you want to see the real, local Hong Kong. Wet markets are essentially local markets that sell everything from live, fresh seafood, meats to tofu, vegetables, and fruit. 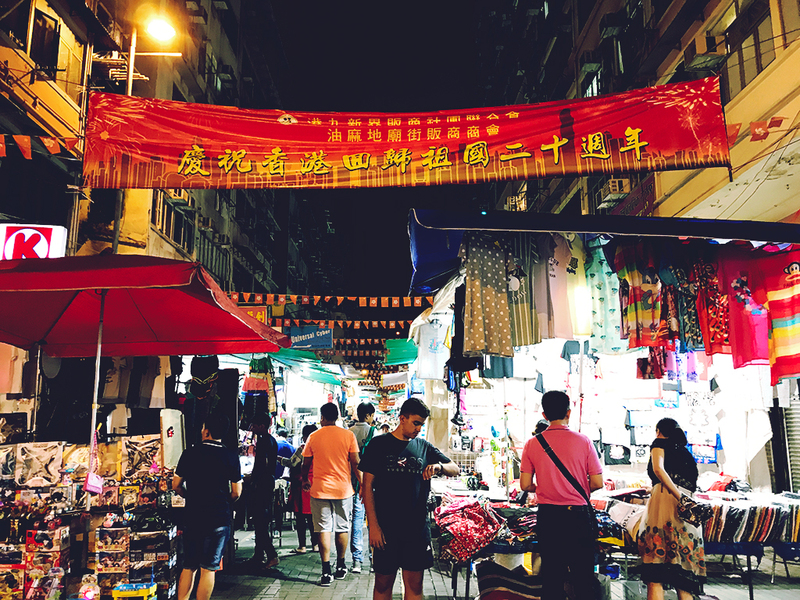 There are many wet markets in Hong Kong, we chose to go to Wanchai wet markets because of proximity to other sights, and also because of the Cooked Food Centre there. Make sure to see a local buying fish - it’ll be cut right open before your very eyes. For many readers, Hong Kong’s lack of customer service in dining and restaurants might be a shock. Indeed, Hong Kong is famous for its no nonsense, no frills dining - the speed and quality of the food are key and everything else is extra. The Bowrington Cooked Food Centre has preserved the taste of Dai Pai Dong (open air, chaotic no-frills eateries outside) and brought it indoors. A word of caution: this may be difficult to navigate if you don’t know written Chinese or the spoken language, Cantonese. Ask a local for help! Have you been to any other cooked food centers or stretches of Dai Pai Dongs? Recommend some to us and comment below! 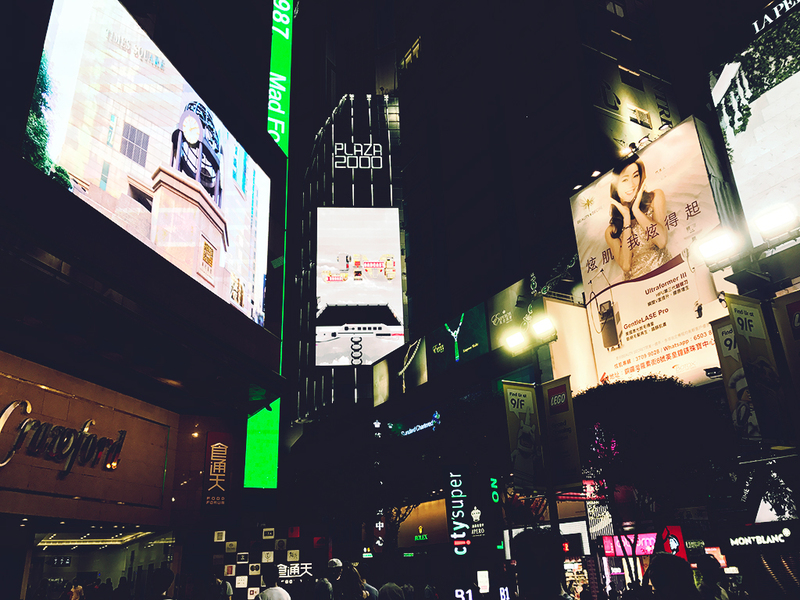 Also, make sure to take some time to visit Times Square in Hong Kong, a major shopping area. 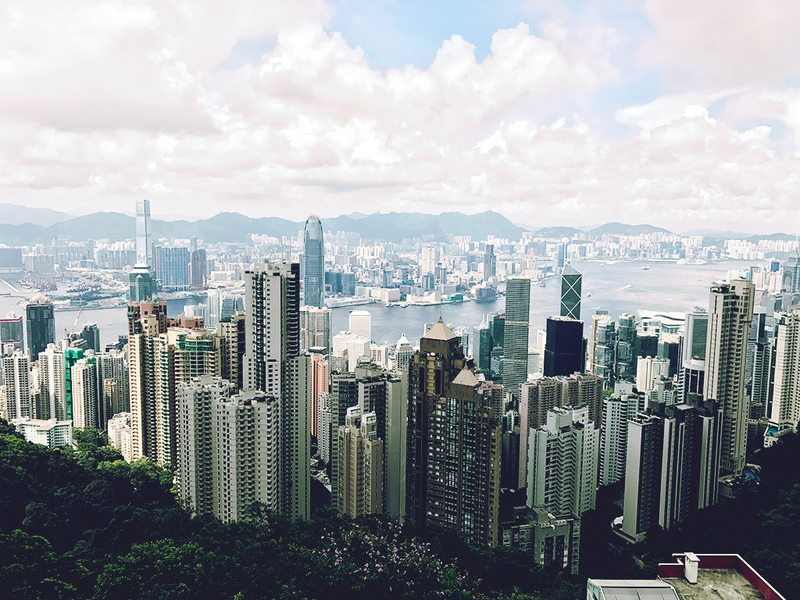 Victoria Peak, otherwise locally known as The Peak, is a very popular tourist attraction on Hong Kong Island, and it’s easy to work out why - the views over Central, Victoria Harbour, and other various locations are simply stunning! There are various ways to get there; Dan and I went via the Peak Tram. You can hop on board at Garden Road. The Peak Tram can be quite steep also (max 27 degrees). Lines can also be quite terrible, but in return, offers some striking views as it climbs up the mountain. Once you’re at The Peak, there are two shopping centers, the Peak Tower and the Peak Galleria. 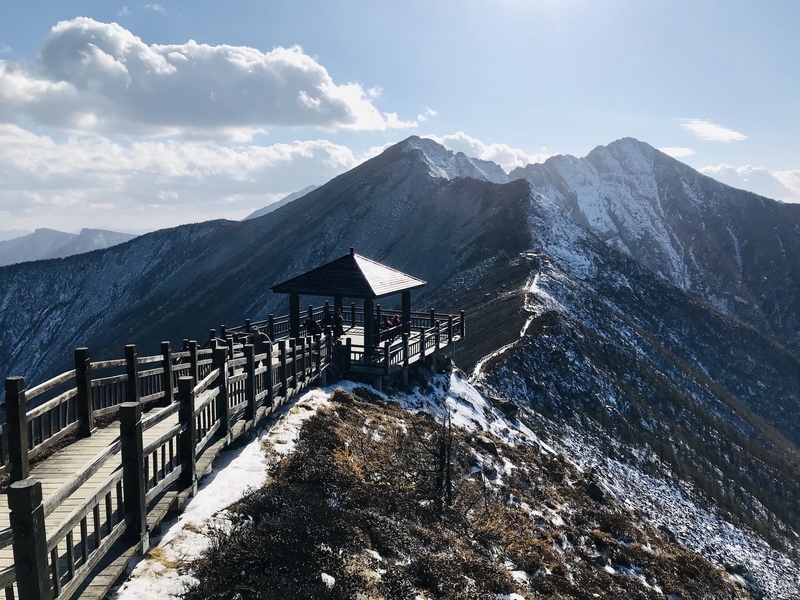 The Peak Tram takes you to the Peak Tower, so make your way upwards to get to the viewing terrace for some panoramic views. Those interested in Hong Kong cinema (think Jackie Chan and Donnie Yen) will be keen on Madame Tussauds also at the Peak Tower. Lantau Island is the biggest island in Hong Kong - the international airport is on this island after all! To make our way to Lantau Island, we took the MTR on the Tung Chung line to Tung Chung, and then made a transfer onto the Ngong Ping 360 cable car (follow the signs at the station). We chose to go on the crystal cabin, which has a glass bottom! From the cable car, it’s about a 15-20 min ride to Ngong Ping, home to the Po Lin Monastery and Tian Tan Buddha. If you get hungry while exploring Ngong Ping, skip all the tourist foods at Ngong Ping village (unless that’s what you’re interested in), and go straight to the Po Lin Monastery. They offer lunch menus, and also a snack bar. This is the much better option if you’re looking for local, authentic (vegetarian) food, and as a plus, you will be supporting the monastery too! While there, we explored the Po Lin Monastery as well, which is a Buddhist monastery. 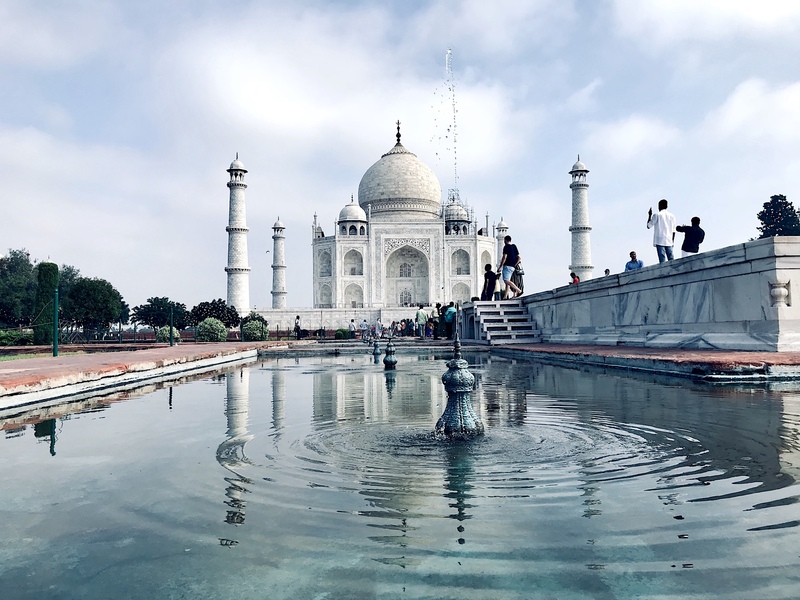 It was founded in 1906 by three monks visiting from the Jiangsu province in mainland China and houses three bronze statues of Buddha (the past, present, and future). Not to be missed is the Tian Tan Buddha (Big Buddha), which is also part of the monastery. You’ll have to climb 268 steps to get to the very top though! 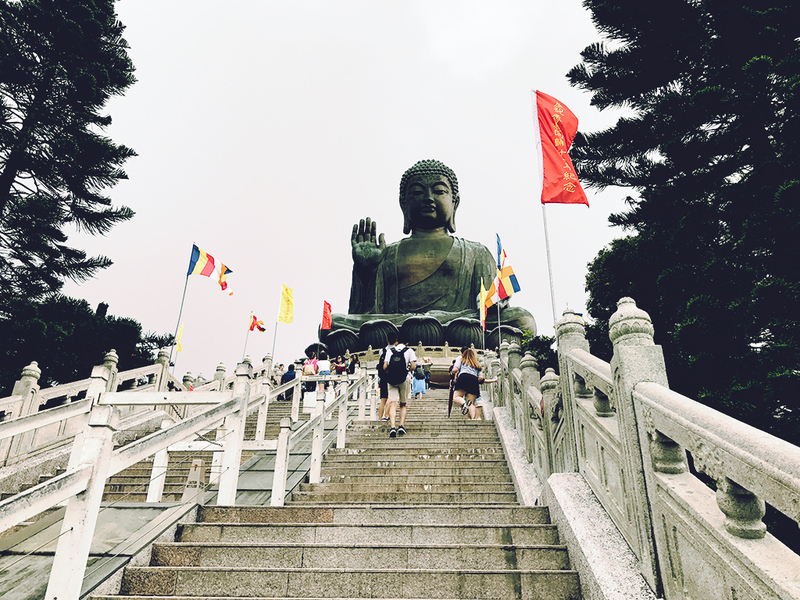 Tian Tan Buddha symbolises harmony between man and nature, and faith. 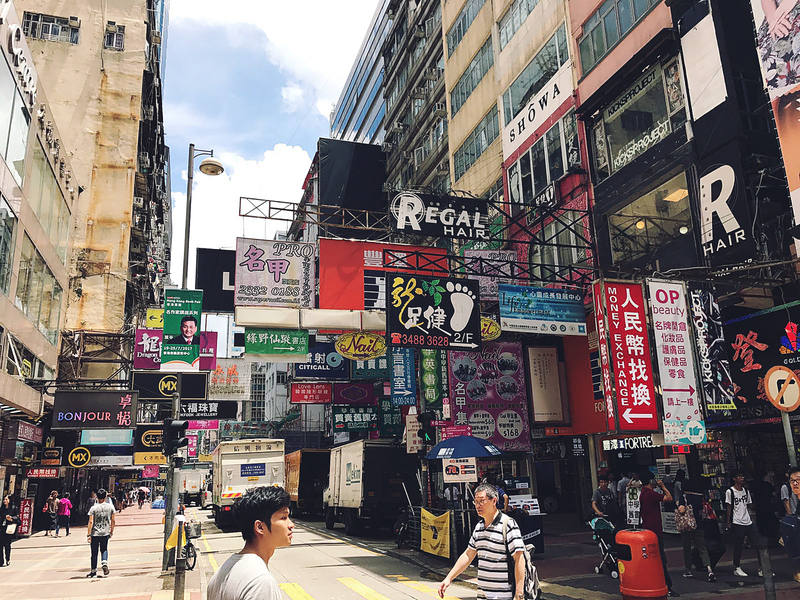 Head off to Fa Yuen Street in Mongkok - a street famous for its street markets selling local foods and goods (clothing, toys, you name it) and also for its long stretch of shops selling sneakers (Fa Yuen Street is also known as Sneaker Street). Close by is Goldfish Street. 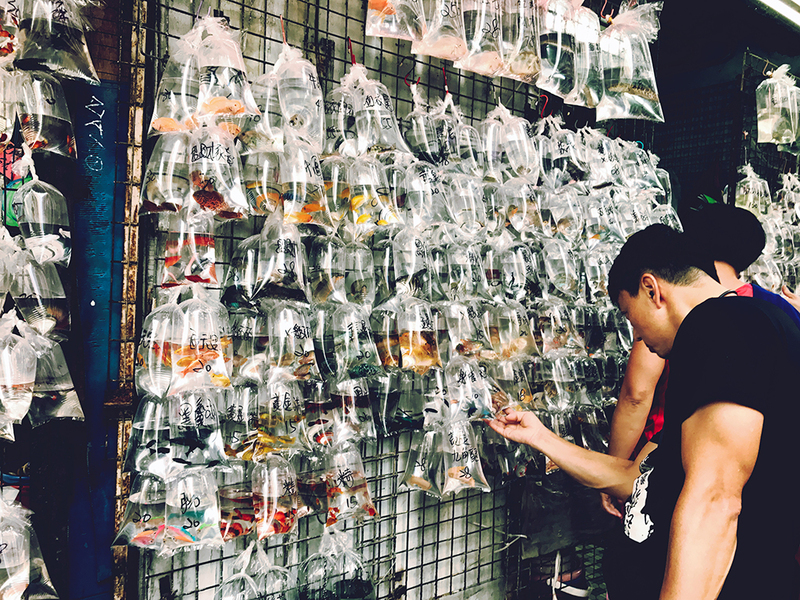 While not a lot of stores left sell goldfish anymore, and the street should be renamed to simply Pet Street, it is still fascinating the wide range of animals and creatures that are sold on this road. Then, go towards Temple Street night markets. Although very similar to the Fa Yuen street markets, Temple Street is abundant in street food. Take your time and experience some of the local foods like curry fish balls and beef balls! 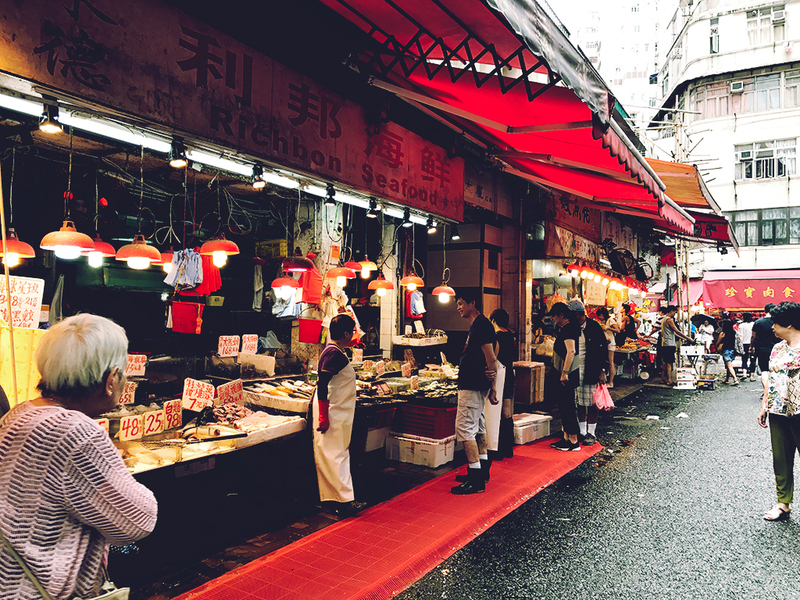 Finally, we started with the local eateries and wet markets, the “real” Hong Kong, and we finish with Tsim Sha Tsui, the center for luxury goods, shopping and fine dining. Have a wander around Tsim Sha Tsui; Hong Kong is a shopping city after all! 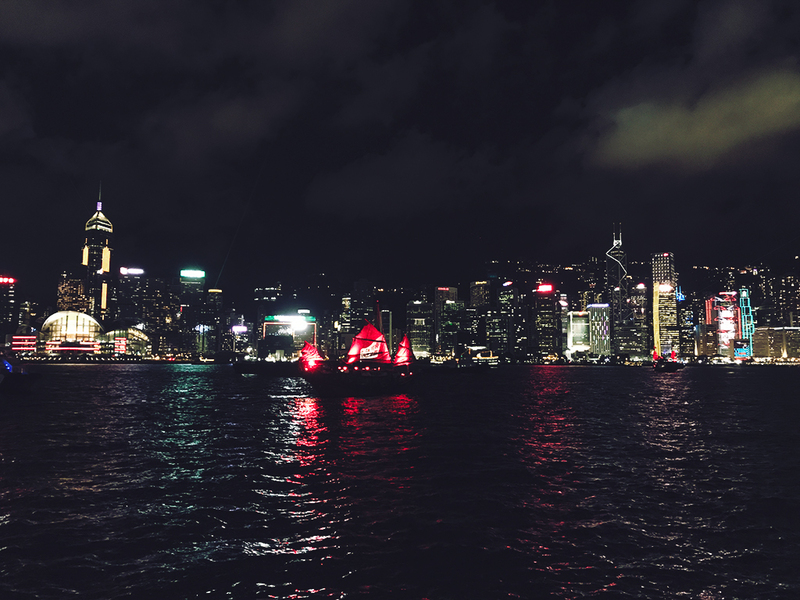 Last but not least, take a look at the Symphony of Lights near the Hong Kong Cultural Centre. Yes it does get a little cheesy, but it is the world’s largest permanent lights and laser show, and that skyline at night is hard to beat. Symphony of Lights starts at 8 pm every night and goes on for 14 minutes. And that sums up what we did in Hong Kong over 5 days! There’s still a lot more to see, so we’ll definitely be back to Hong Kong in the future.